I have a fun tool to share with you this Friday. Big Huge Labs has created a neat color palette generator that is super easy to use. I chose a photo that I shot on my recent trip to Yosemite to show you how it works. 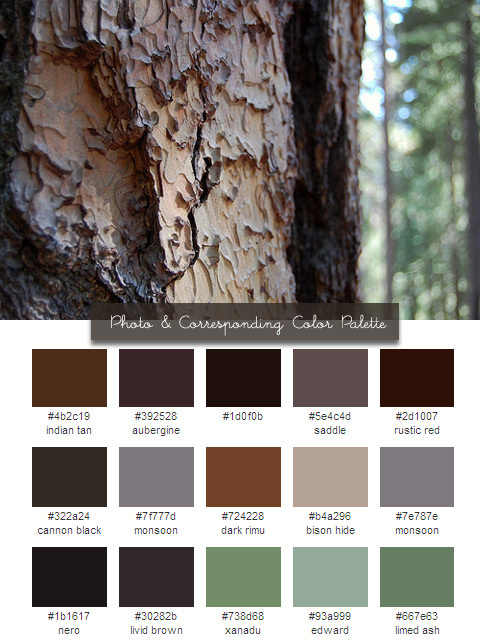 The palette generator took my photo of a pine tree and created a palette that is warm, rich and surprising right on trend for fall. It's an excellent tool for someone who needs help creating a pleasing color palette for their home and would also be useful when developing a color scheme for a blog theme or website. This is not the only color palette generator out there but I like this one because it allows you to link directly to facebook or flickr as well as upload photos from your computer so it is really versatile. The program also creates a .ASE file of your palette that you can download and use with Illustrator, Photoshop, etc. 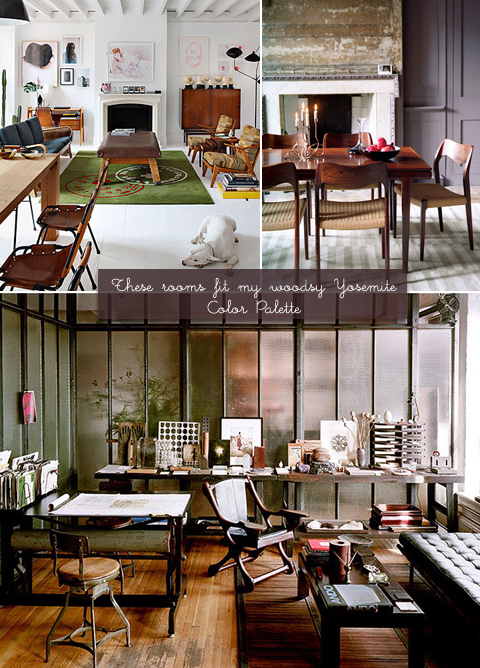 Once my color palette was created I pulled together examples of some interiors that display the palette nicely. 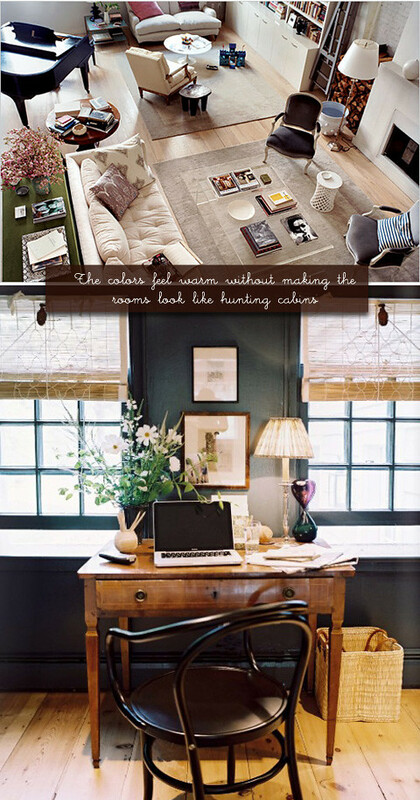 A quick tip: if you are having trouble creating a color scheme for your home stick with colors that appear in nature. Nature always gets it right. If the colors appear together outside they are going to look great inside. Hope you enjoy that long holiday weekend and I will see you back here Tuesday. Thank you for sharing that! I instantly bookmarked that tool. Its helpful for finding nice color schemes for my drawings! I love this tool! You got such a pleasing color palette from that picture. Now we will have the hexadecimal colors to reproduce from any photo. Thanks for sharing! This is fantastic ! Also love your color scheme. WOW! Thanks for sharing! Wonderful tool!! !